The weather is giving me whiplash. We keep going from unseasonably warm to snowstorm and back. Yesterday, we were at the park in light sweatshirts. Today, it’s snowing. Luckily, that means it’s soup weather – and I just happen to have a great meatless soup to share as part of the Lenten dinner series! This soup is pretty much veggie lasagna in a bowl. 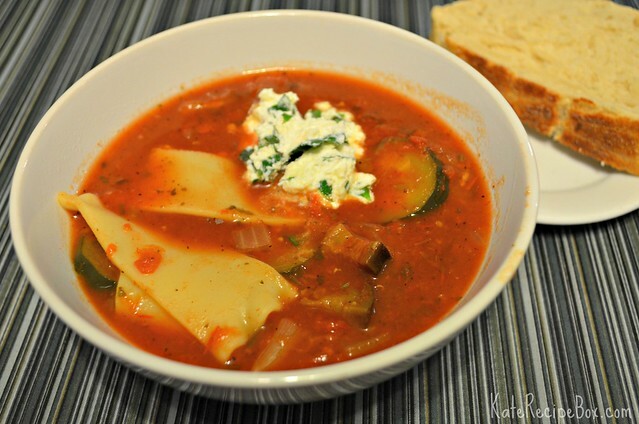 I’ve tried a bunch of lasagna-type soups and they never quite hit the spot because they lack the cheesy goodness that is lasagna. 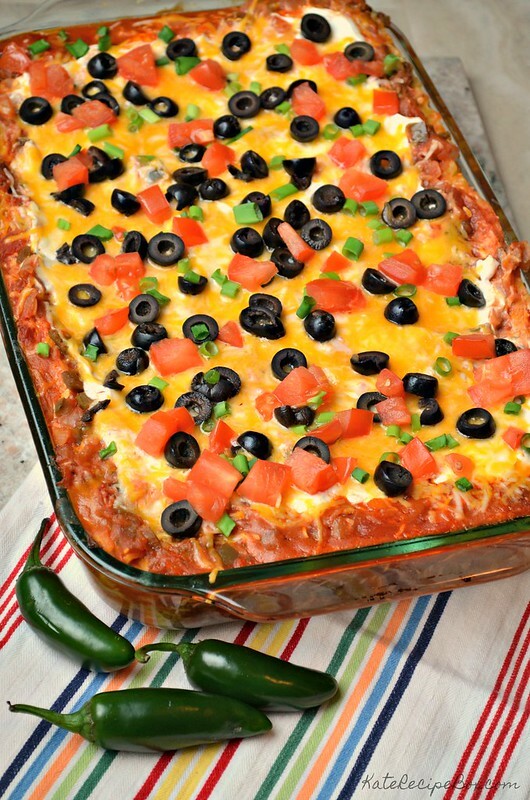 This version features an ingenious dollop of cheese on top. I love it! Add the onion, zucchini, garlic, tomato sauce, crushed tomatoes, vegetable broth, bay leaves, oregano, basil, red pepper flakes, kosher salt and black pepper to the slow cooker. Cook on low for 6-7 hours. While the soup cooks, mix all ingredients for the cheese topping together in a small bowl. Refrigerate until ready to serve. When the soup is done, prepare the lasagna noodles according to the package directions, chop them up, and add to the soup. Serve the soup topped with a dollop of cheese topping.